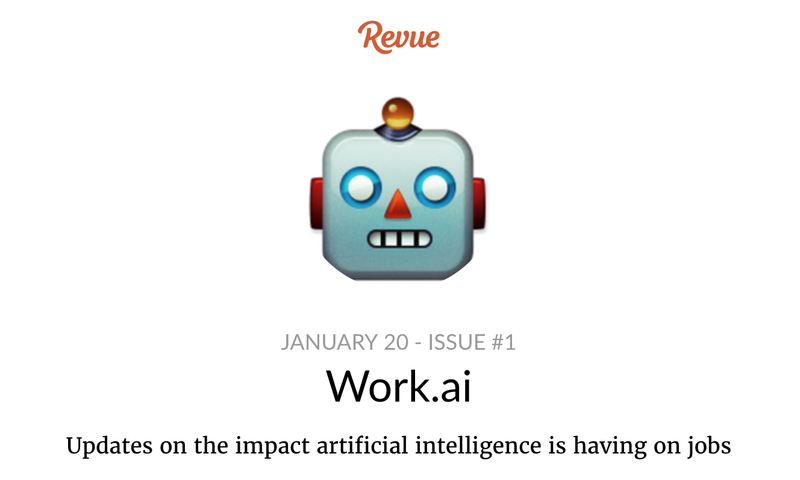 In January, I started a weekly newsletter on the impact automation (AI and robotics) is having on jobs. I did this mostly because I wanted to keep better track of what’s happening in this space, and I thought that a weekly publication deadline might help me do this. I’m only six weeks in, and there have already been so many developments in the field that I have to be selective about what I include. Here are some of the ways these trends have unfolded so far in 2017. Probably the biggest announcement of 2017 so far is that DeepMind have trained different AI systems to work together. In their experiments, separate AI agents collaborate when the going is good — but become aggressive when resources are scarce. This might hold big hints about the direction AI will go in the future. At the same time, there have been lots of announcements about specific new tasks AI has mastered. AI hedge funds are now outperforming humans; AI is better than people at Poker; AI is as good as humans at recognising skin cancer; MIT researchers have trained AI to detect the tone of a conversation with 83% accuracy; there’s a hedge fund that’s run by AI; and Google’s AI can now figure out who’s in low-quality CCTV shots. Finally, both Google and Microsoft have announced that their AI has learnt to write code, with Google’s even learning how to write its own machine learning software. Machines that build machines are on the horizon. We tend to think of automation replacing jobs as a concern of the future — but stories have already been popping up of companies replacing human workers with machines in 2017. At the same time, politicians have been thinking about the wider impact of automation on society: MEPs recently urged the EU Commission to draw up EU-wide rules on AI and robotics and follow their impact on the labour market closely. More and more experts — in various fields — are imploring people to start thinking about the impact automation is going to have on society. The year kicked off with McKinsey predicting that half of today’s work activities could be automated by 2055. Barack Obama, in some of his final acts as President, reiterated how important it is that US politicians start thinking about how automation will affect jobs (in his final interview) and warned that automation is playing a far greater role in job losses than globalisation (in his farewell address). Elon Musk said he thinks humans will have to merge with AI if they want to remain relevant. And the think tank Reform warned that the public sector is going to be just as affected by automation as the private sector. Possibly the most interesting idea of 2017 so far is Bill Gates’ proposal that we replace income tax with a robot tax. My take on this is that, given that corporations will likely be the ones who own the AI and robotics systems doing all the work of the future, this isn’t very different from saying that corporation tax should be increased; but it’s an interesting thought, and has got a lot of people talking about these issues. It turns out it’s men, right now, who are losing jobs to automation — women are actually gaining them. Scientists have made a breakthrough that should let them build a large-scale quantum computer within a decade. This has the potential to massively increase AI’s capabilities. Top AI researchers have agreed on a set of principles aimed at making sure the AI we develop is a force for good. Tiny drones that pollinate flowers can now do the work of bees. So humanity isn’t the only species that’s likely to be affected by the wave of automation. The UAE is getting into the race to put humans on Mars. Colonising other planets raises huge questions around automation and work: there could be a lot of jobs on Mars, but will they be done by people or robots, given that robots can (currently) fare better outside the Earth’s atmosphere? It’s been a fascinating six weeks, and it seems inevitable that these trends are only going to continue gathering pace as AI keeps improving, companies turn more and more to automation and increasing numbers of people join the conversation. If you’d like to stay up to date with what’s happening, sign up to the newsletter here.